LinkoManija.net, the most visited torrent site in Lithuania and the 18th most popular site, period, must be blocked by ISPs, a court has ruled. The case has been ongoing for two years and is likely to open the doors to widespread ‘pirate’ site blocking in the country. It’s certainly not difficult to see why Linkomanija is a major irritant to copyright holders in Lithuania and further afield. For well over a decade the site has been a major force involved in the sharing of unlicensed content. 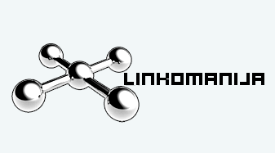 Even today, despite years of conflict and attacks against the site, Linkomanija is not only Lithuania’s most popular torrent index but also the 18th most popular site in the country, period. Now, however, copyright holders hope that traffic to the site can be brought under control with the introduction of a court-ordered ISP blockade. The Lithuanian Copyright Protection Association (LATGA) began its blocking efforts against Linkomanija back in 2016 when it filed a lawsuit at the Regional Court of Vilnius demanding that several local ISPs prevent their subscribers from accessing the site. In November 2017, the Court issued an order which required the country’s largest Internet providers including Telia, Bitė, LRTC, Cgates, Init, and Balticum TV, to start blocking access to the popular torrent tracker. However, the Court ordered the costs associated with blocking to be borne by the plaintiff and with ISP Telia complaining that blocking the entire site (which has been used by rightsholders to distribute legal content) could amount to a restriction on free speech, an appeal was quickly on the cards. After more than a year, the case has now been decided. ISPs will have to begin blocking Linkomanija with immediate effect. “For two years, we have been in court with this Linkomanija case,” LATGA lawyer Andrius Iškauskas told Delfi. “The court of first instance made a favorable decision for us, then it was appealed, and the Court of Appeal dismissed the appeal and essentially confirmed all our arguments that blocking Linkomanija is an appropriate and effective measure. “This decision can still be appealed to the Supreme Court, but it is already valid and operators will have to execute it and block access to Linkomanija. I think that this decision will help to protect the rights of creators,” Iškauskas added. LATGA director Jonas Liniauskas says that he’s pleased the Court listened to the concerns of rights holders and notes that legislative changes helped the case along. “We are very pleased that the Lithuanian courts have finally heard authors who lose a large part of their income due to pirate activity,” he said. In common with all regions where the blocking of one site is ordered, further blocks against more sites are now expected in Lithuania.